A director of a Leamington firm of commercial property consultants has triumphed in a national awards competition, winning the title of Warwickshire’s ‘Deal Maker of the Year’. 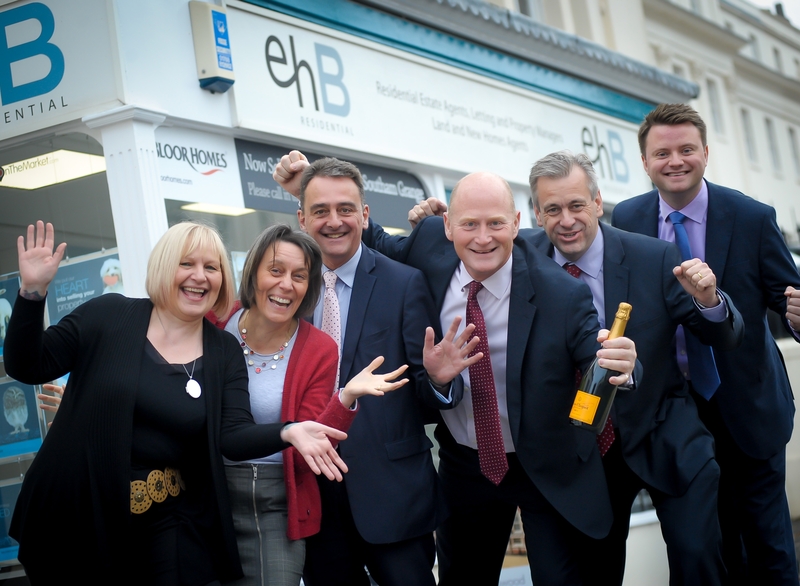 Simon Hain, a director of ehB Commercial, is the fifth winner from the firm to have lifted the trophy in the six-year history of the competition, which is run by leading trade journal Estates Gazette. The firm itself has also been named ‘Most Active Agent of the Year’ four times. Mr Hain said: “This is a great honour for me but also for the team as a whole, who have worked very hard through some tough times. “We have managed to keep busy over the last few years despite the economic situation. We have worked hard to match prospective tenants and buyers with the right property in a market with constricting supply. A broad spectrum of buildings in all commercial property sectors means we can provide a comprehensive service, covering large and small. We pride ourselves on getting the deals done, however lucrative. “We have successfully handled sales and lettings of all sorts of commercial property, from the single office and corner shop to large office blocks and extensive warehouses,” he said, adding that he thought the South Warwickshire’s commercial property market was currently looking positive. Over 12 months ehB Commercial carried out deals with a value approaching £16.3 million freehold and lease deals with a £2.3 million rent roll, comprising industrial and warehouse units, offices and retail outlets.